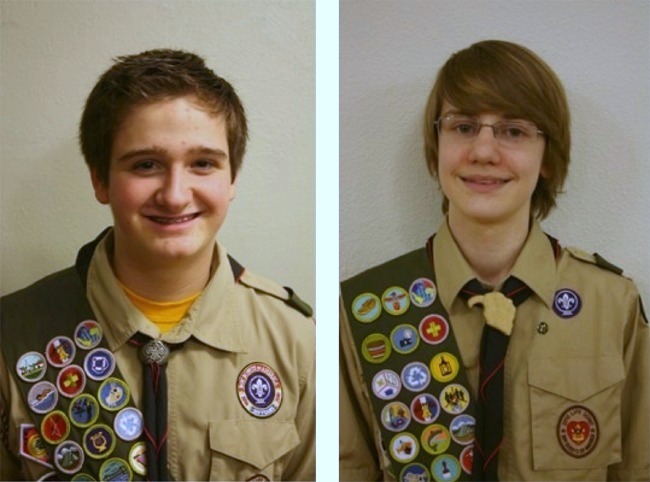 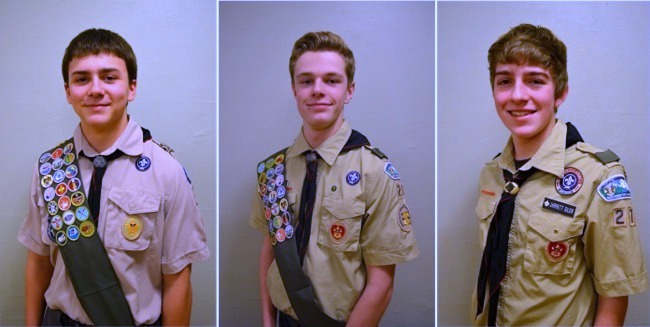 Troop 27 of Fox Island awarded the rank of Eagle to seven of its members on March 14, 2015. 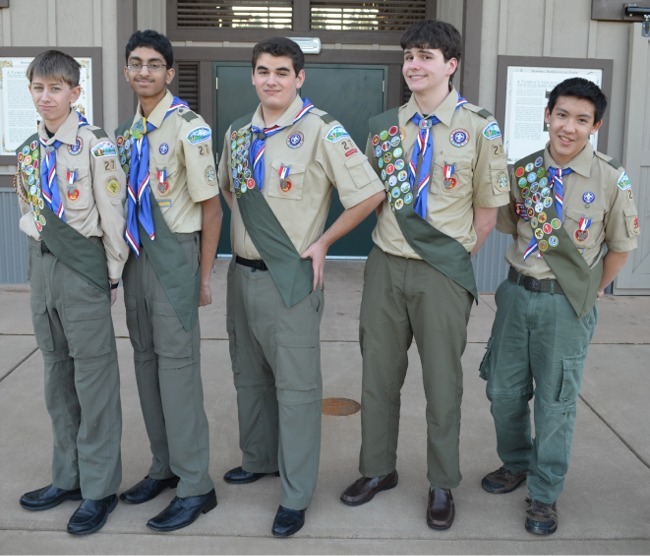 From Left: Thomas Ichiyama, Mitchell Baltmiskis, Ian Collins, Mason Yonkers, Matthew Wild, Jarrett Siler and Daniel Crone. 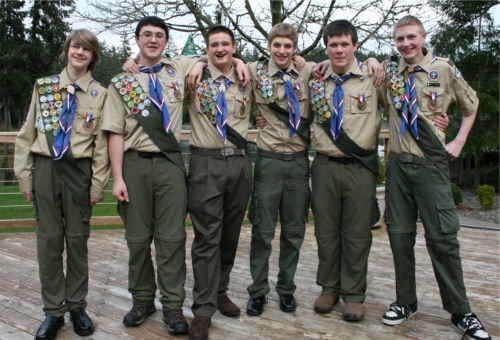 These seven scouts were the last of the first 20 Eagles in Troop 27's seven year history! 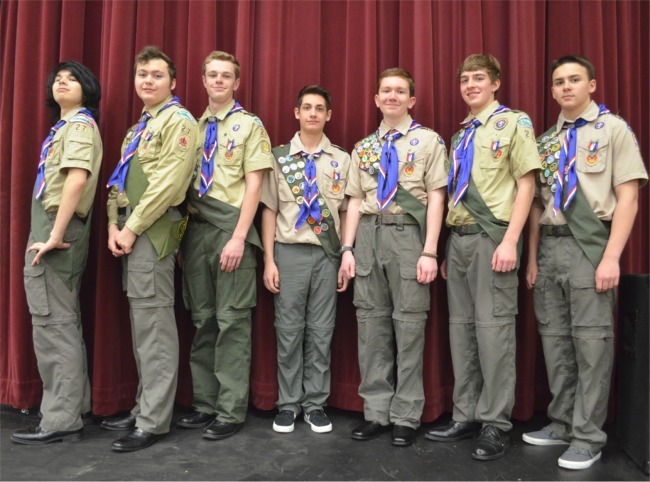 State Representative and Navy Battleship Captain Larry Seaquist was the keynote speaker, and the Eagle Scouts were escorted in by the Clan Gordon Pipe Band. 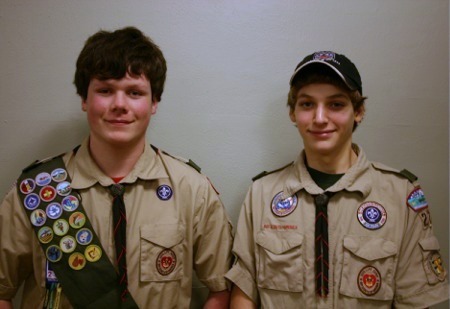 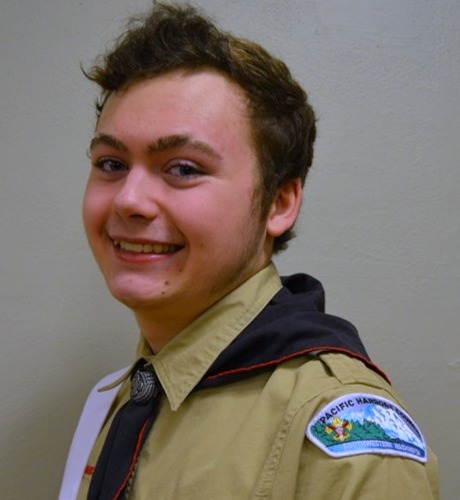 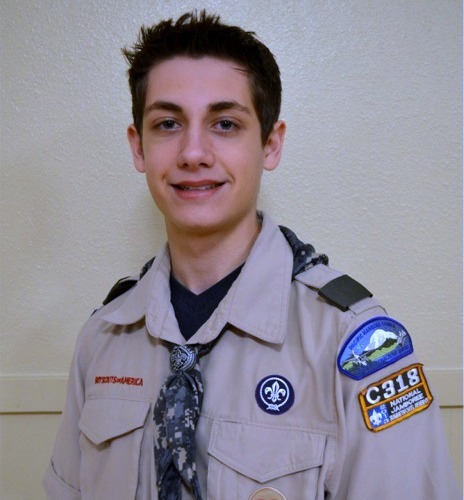 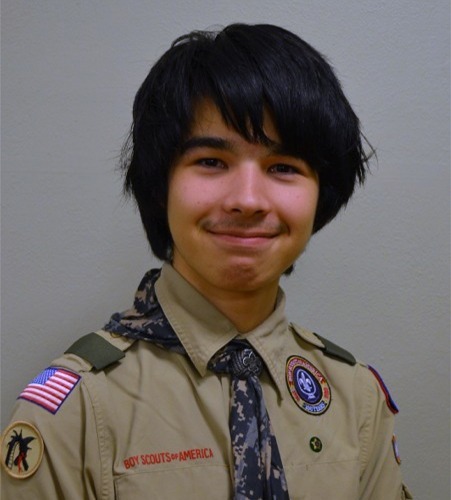 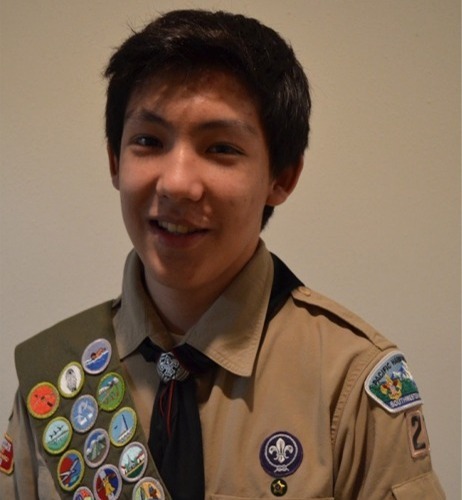 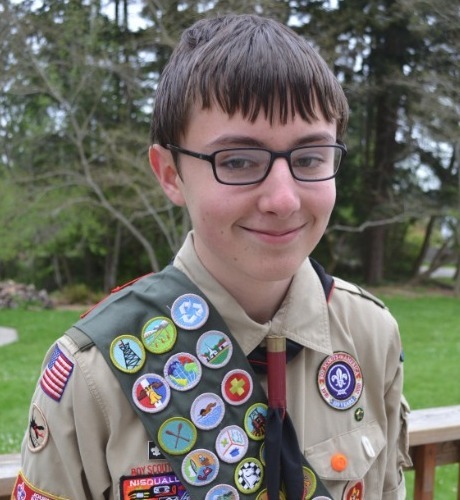 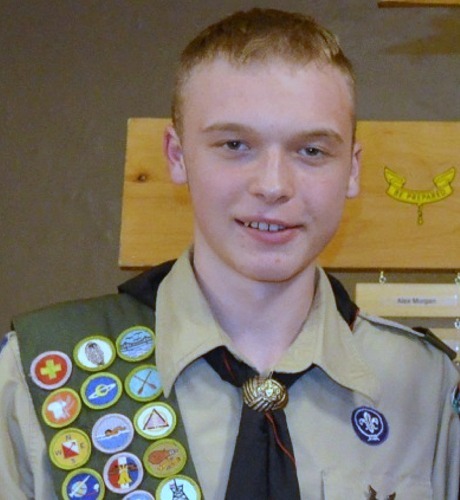 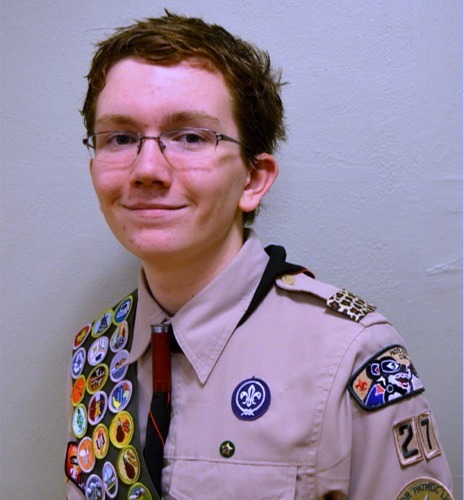 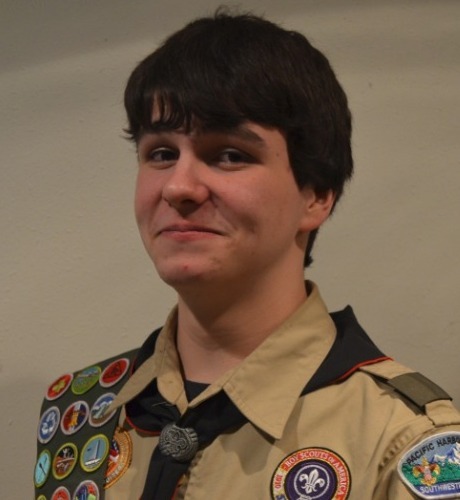 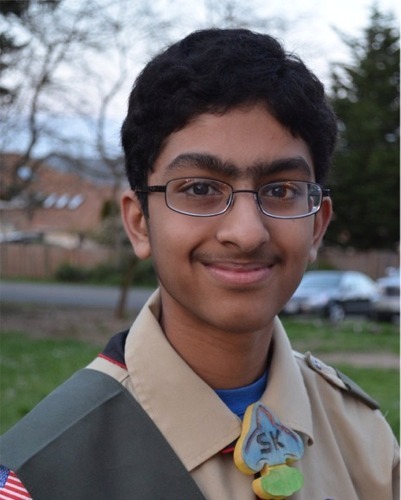 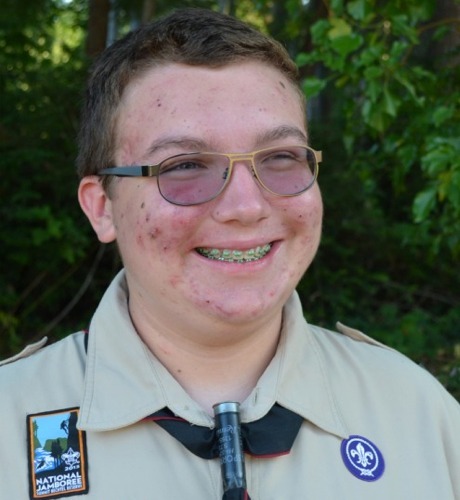 Spencer Trop, Troop 27's 21st Eagle Scout, passed his board of review on November 7, 2014. 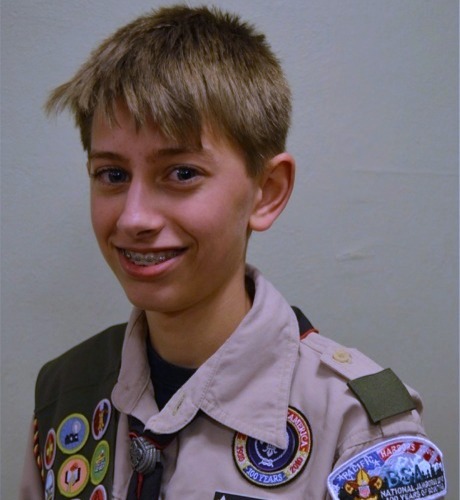 Spencer was one of the founding members of Pack 27, and the first Cub Scout from Pack 27 to reach Eagle Scout. 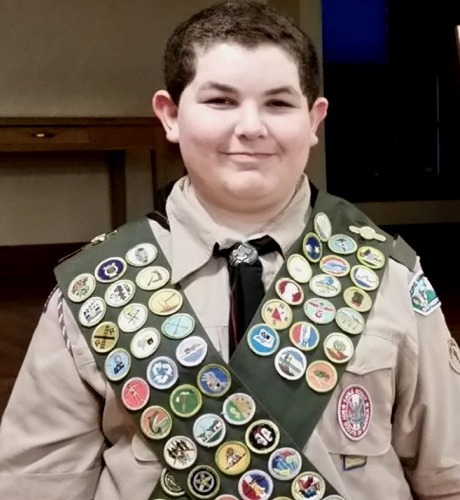 He earned 90 merit badges. 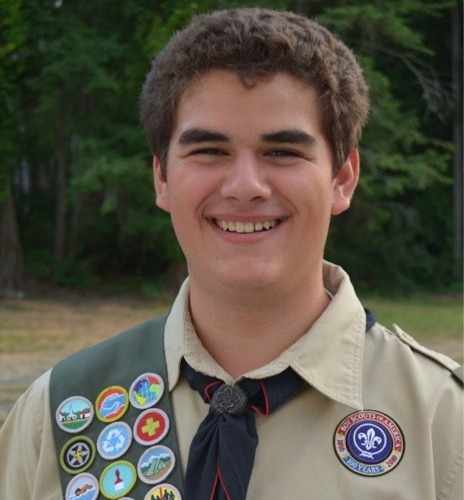 Nate Waltz became Eagle Scout #22 on June 13, 2016.